An ex-senior Indian diplomat, Preeti Saran on 6th December 2018, has been elected unanimously to an Asia Pacific seat on the United Nation's Committee on Economic, Social and Cultural Rights (CESCR). The UN's Economic and Social Council (ECOSOC) elected Preeti Saran to the 18-member committee ‘CESCR’ for a 4-year term beginning on 1st January 2019 till 31st December 2022. Preeti Saran will begin her term at CESCR after another former Indian diplomat Chandrashekhar Dasgupta completes his third term on the CESCR by the end of December 2018. 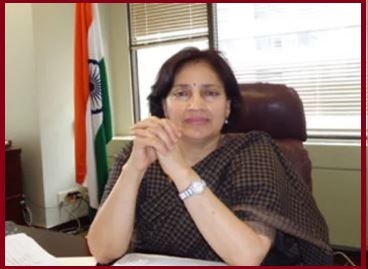 Preeti Saran (60-years-old) is the Indian Foreign Service Officer of 1982 batch. During her 36-year diplomatic career, Saran served as the Consul General of India at Toronto and the as Indian Ambassador to Vietnam. Preeti Saran also served in Indian missions at Moscow, Dhaka, and Geneva. She got retired from the foreign services in September 2018.